Hey team. 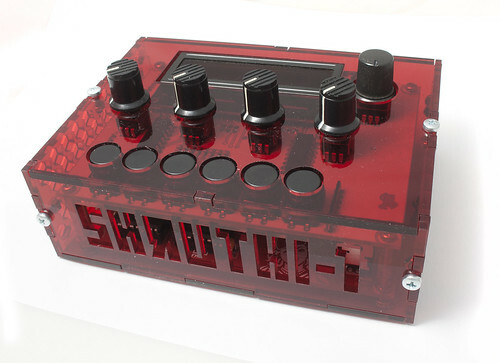 I have a few more questions as I’m (painfully slowly) trying to design my own case. 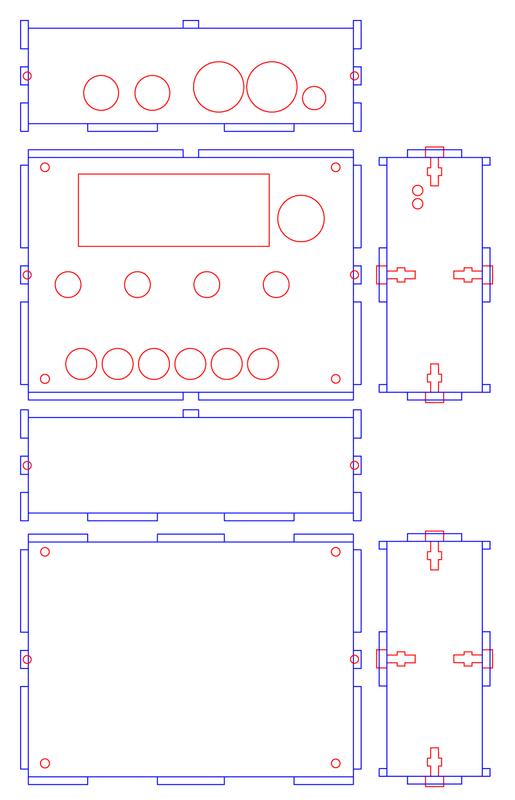 The stock case is great, but I’m looking for 50% more space for some switches, pots, and 1/8" in/outs. 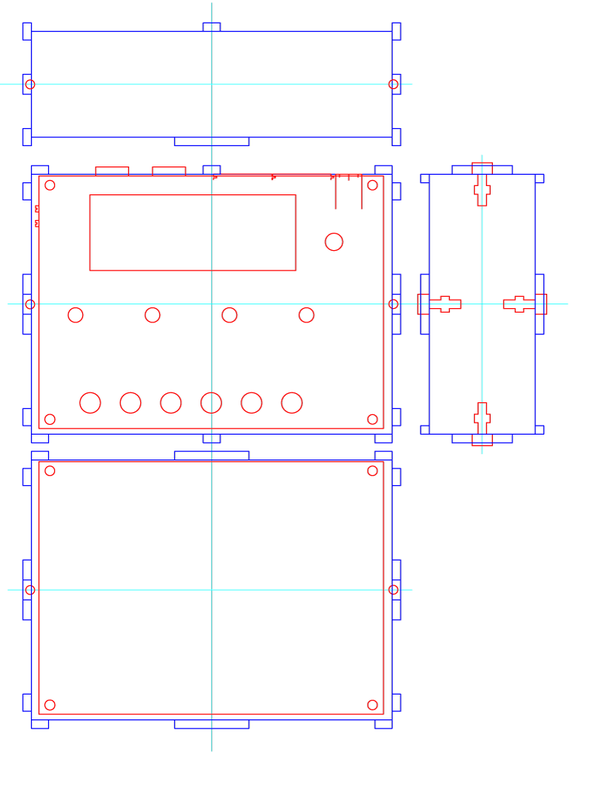 So I’ve got the “standar_case.svg”, and I’ve got Inkscape. And Inkscape opens up the .svg. But then when I go to do anything, it’s a mess. Does anyone have any great advice for getting started with Inkscape? Link to a tutorial? (I should probably search on google…). 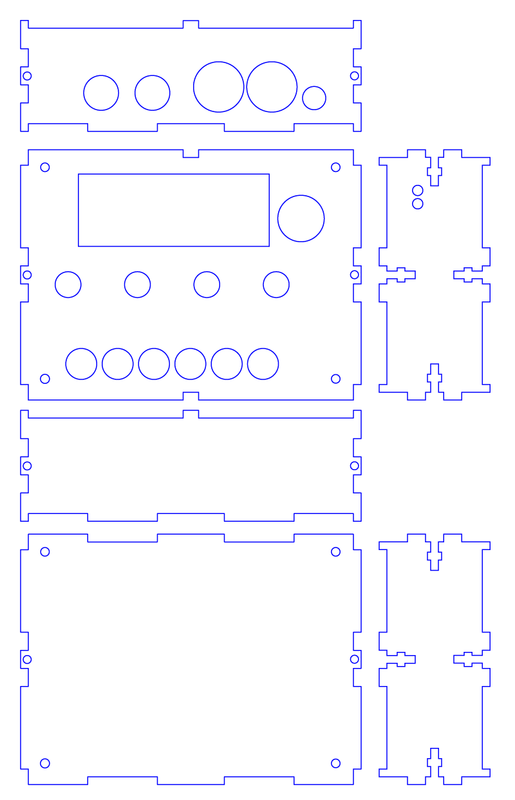 I’m hoping this case design turns out well enough I can share it with the community. Yo guys, I’m glad that this tut is useful for more than one! Totally awesome Schrab! Thanks for taking the time to do this! 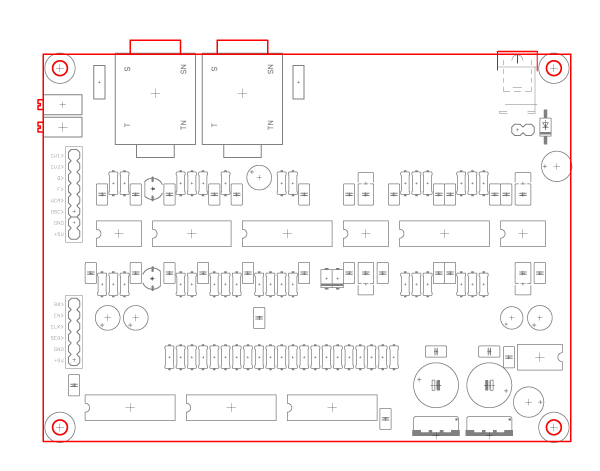 One point i want to emphasize: DONT TRUST THE DATASHEETS/EAGLE FOR MEASUREMENTS. All these tiny 1/10 mm offs will add up so your 3D Modelled case most likely won’t fit. Prepare to print a Cardboard Model and adjust everything to exact fit before cutting it in the real Material. And don’t trust Eagle, cheap rulers etc. 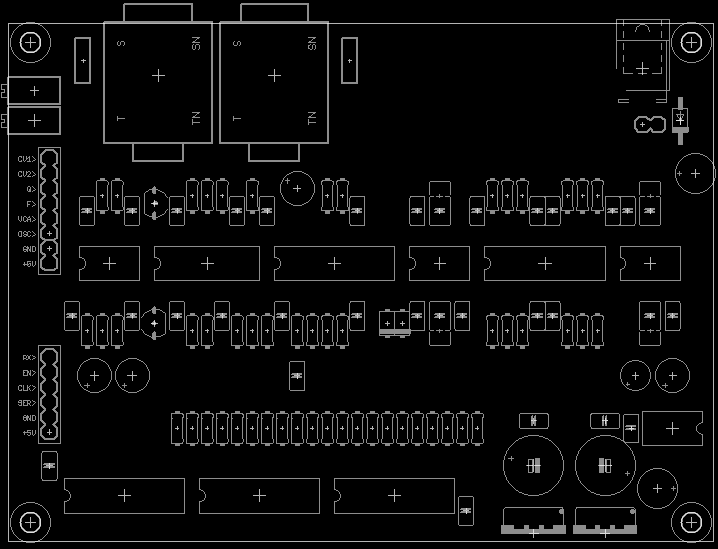 Use Messschieber and measure real PCBs, jacks and knobs. 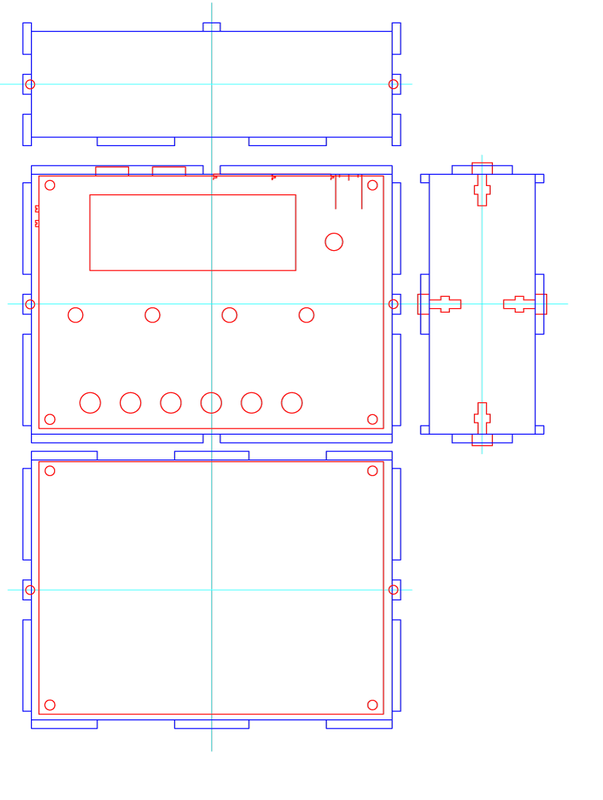 Actual size may vary from datasheets and eagle part dimensions. Very important to check sizes after exporting from eagle. Mistake at this step can make a lot of extra work. See the top line of element is higher than gridline. 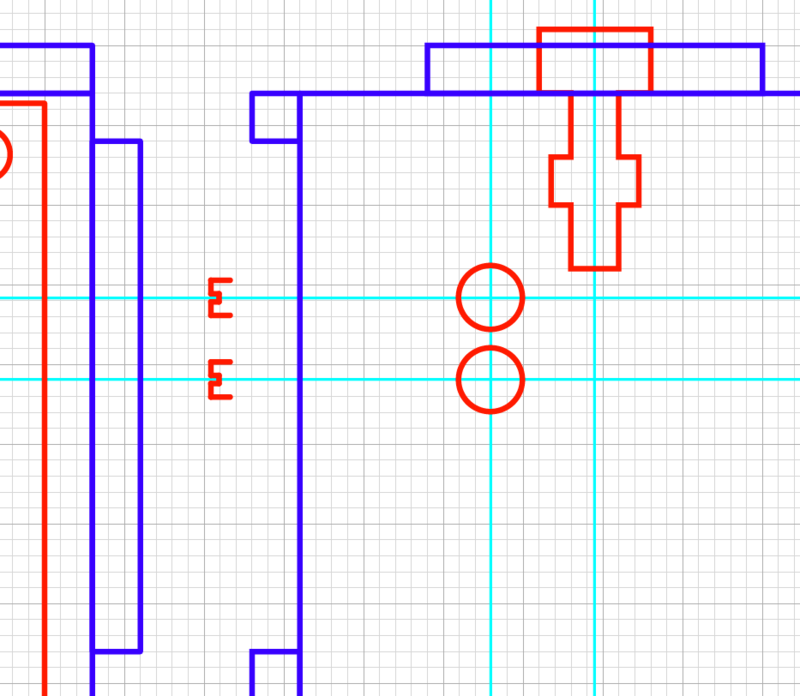 Switching to outline mode (Ctrl+Y in Illustrator, View->Display mode->Outlines in Inkscape) will help finding such mistakes. It’s very handy to lock all red elements while combining blue. 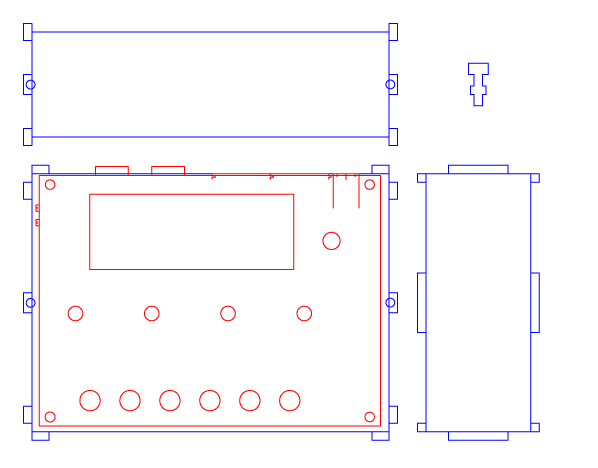 It’s VERY important to have closed shapes for every case part. 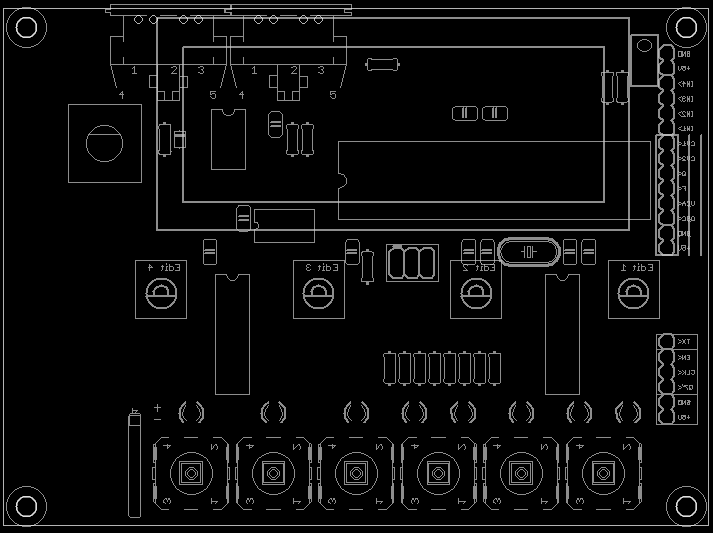 CNC Laser is cutting every line and every point. Now let’s make face panel holes. 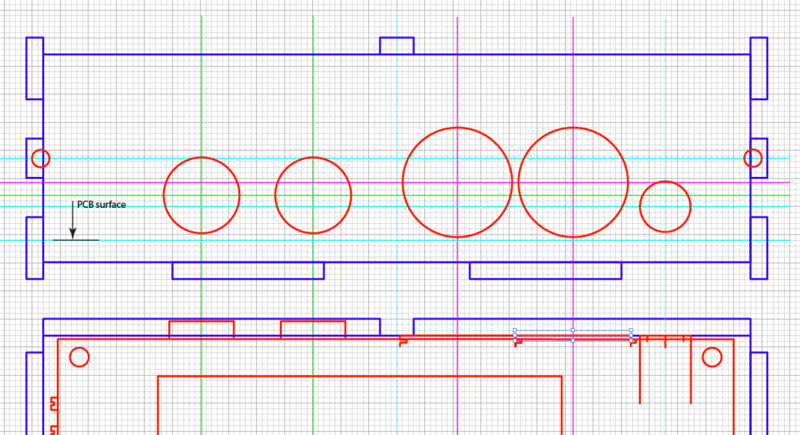 Just resize existing circles to new diameters. Check that reference point is in the center. 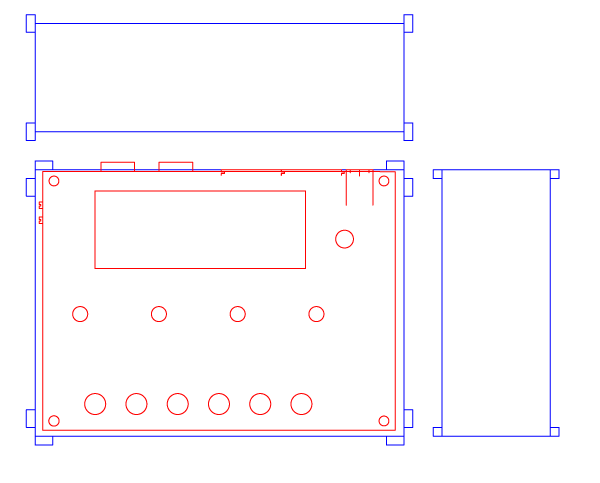 Resize LCD window to 74x28 mm. Now it’s time for some cleanup. Delete all ancillary elements. Leave only needed for substraction. Color all hole elements to one color and case to another, or use layers. 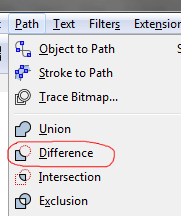 side elements can be duplicated after substraction to minimize efforts. 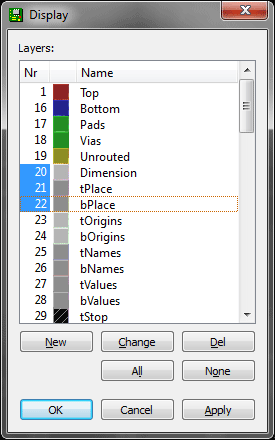 Draw vertical guides according to exported from eagle dimensions (good idea is to export tOrigins layer. It will help finding components axis) Than add horisontal guides. Draw circles. 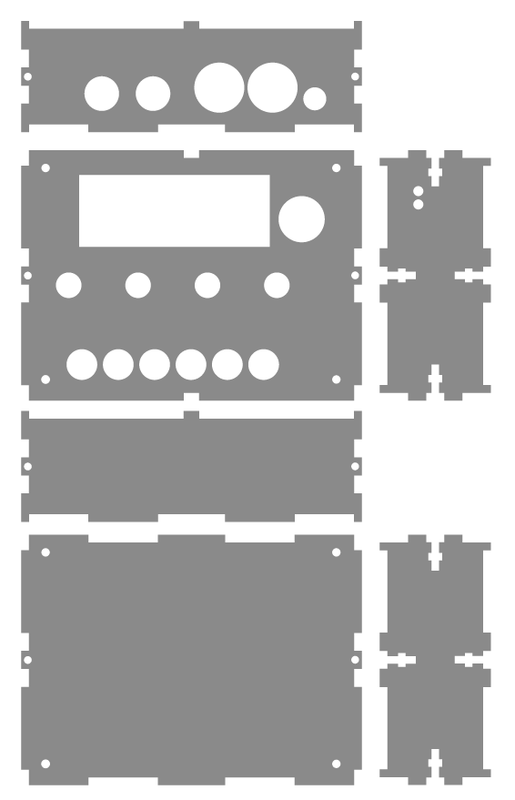 Clone rectangles from side elements to top. We’ll delete it later, after using as guides. At this step we need to clone out top element to make bottom side. Hole diameter is 3,1 mm. 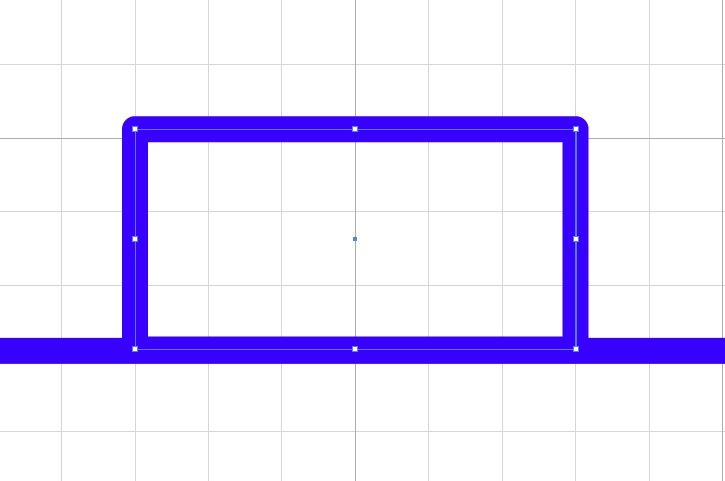 closed path at the right side will be used for extrusion. the grid is 1 mm. 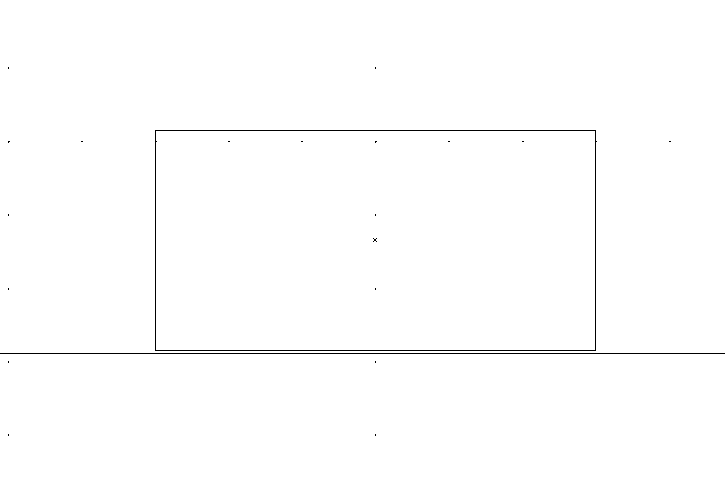 Allign elements to the grid and axis of case elements. They should be symmetrical to X and Y axis. Turn on grid, set it to 1mm. Also turn on "snap to grid"
This is our inner dimensions. 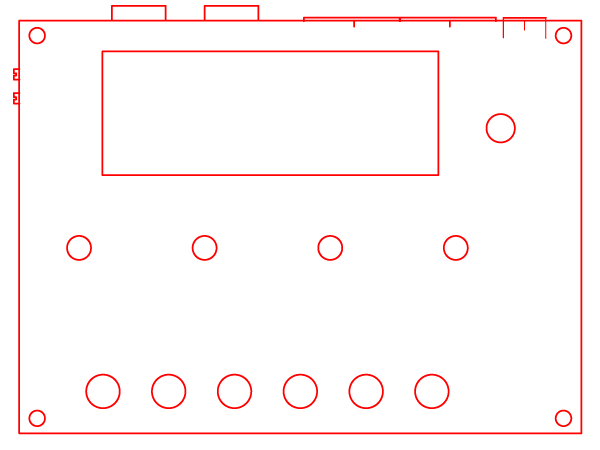 Then add 3x6mm and 3x3mm rectangles to the corners. Sh*t! I have some scaling problem. Need to check all things. Ok. First you need to know inner dimensions of your case. 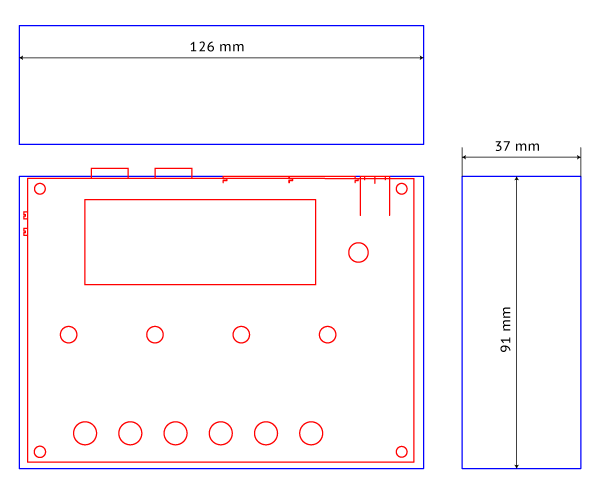 Best way to make precise case is using eagle pcb dimensions. 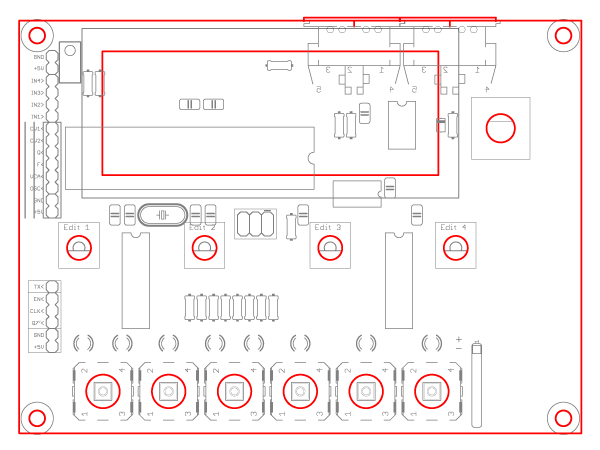 Note that PCB is mirrored. 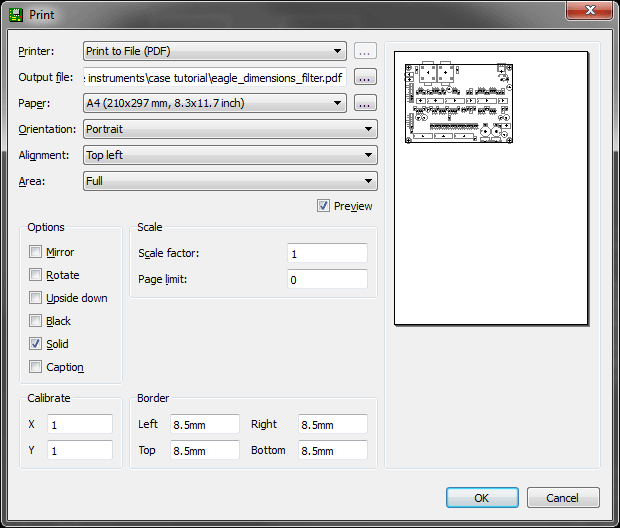 Now open PDF in your Vector editor and check dimensions, they they must be near 120,4 x 88,4 for pcb dimension rectangle. Open PDF’s in editor, ungroup all and (optional) delete all except elements marked with red. 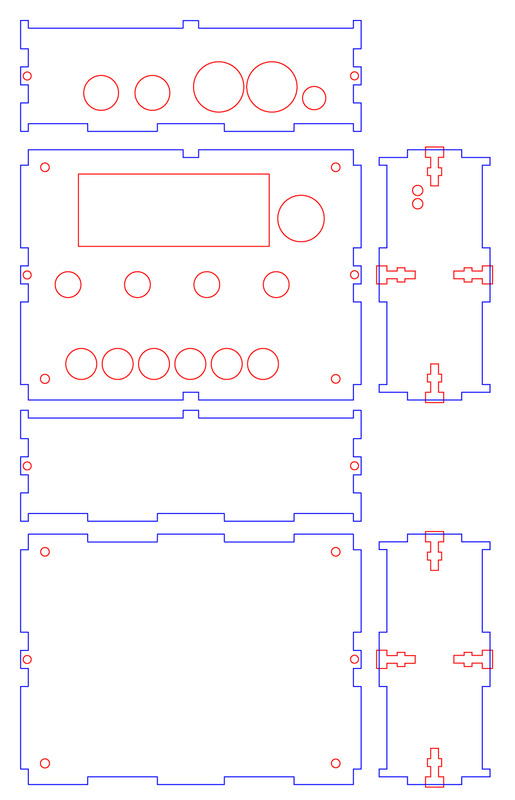 Holes in case will be based on it’s position and dimensions. 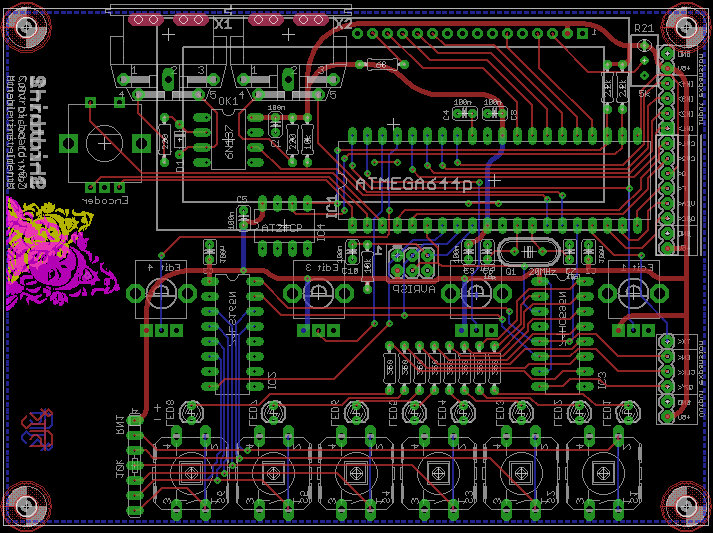 Don’t forget to flip digital board horizontally. 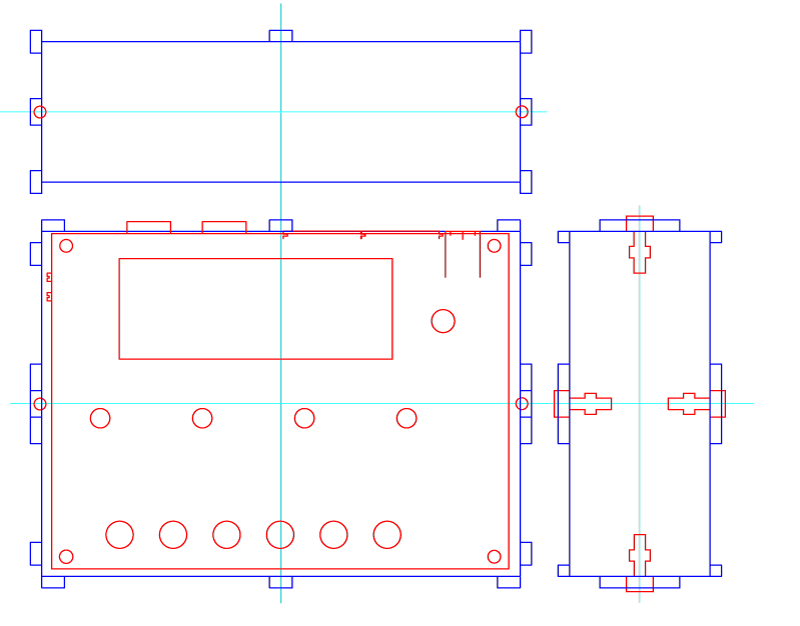 Now we have all needed to draw our case except vertical positions of holes.